The brand new special edition Citroen New C3 PureTech 82 Manual Elle for £229.00 a month with £229.00 customer deposit. Our finance deals are really flexible and this is just to show you an example. Please get in touch and send us an enquiry with your preferred requirements. From £zero to £5,000 deposit and from 6,000 miles a year to 30,000. Citroën C3 starts 2018 with style. Citroën’s best-selling car shows great female flair with the launch of a new special edition, Citroën C3 ELLE. Citroen has joined forces with ELLE magazine to create a new special edition, elegant, stylish and favouring the city. This is a vehicle to be enjoyed, the Citroën C3 ELLE special edition is tailor-made to for today’s busy lifestyles, thanks to its on-board comfort and really useful technological features. Inspired by today’s successful women and their lifestyles, Citroën C3 ELLE offers a vehicle that’s full of energy; both colourful and fresh. Urban and universal, and with a unique personality, Citroën C3 ELLE stands out thanks to its unique colour combinations and distinctive styling. 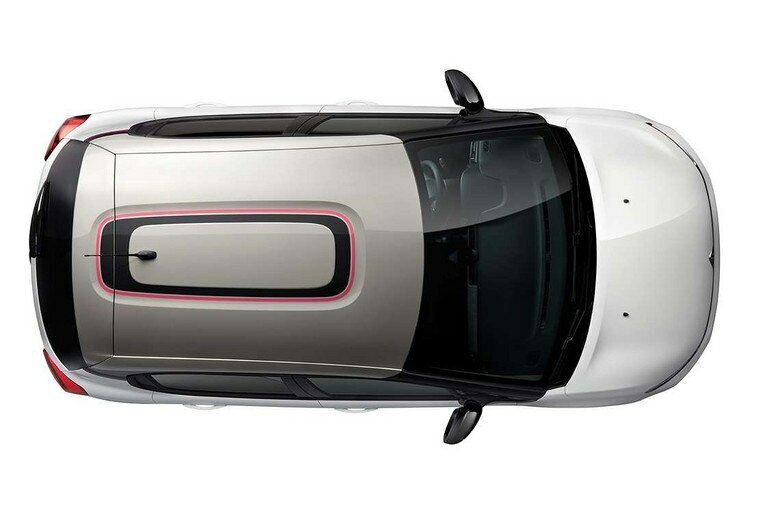 Citroën C3 ELLE has the power to enthral due to its personalisation options and technological features. Citroën C3 ELLE keeps its generous curves and silhouette that give it a unique personality. This can be further enhanced with the ‘ELLE’ Colour Pack, offering even more personalisation combinations. This special edition is the result of 2 great French brands coming together, and is driven by elegance and the wish to make everyday life so much simpler. These values are shared with the ELLE brand, through the partnership with Citroën. Another aspect of this collaboration is the ELLE Active Forum in France (‘ELLE Women in Society’), whose aim is to showcase the role of women in the workplace. 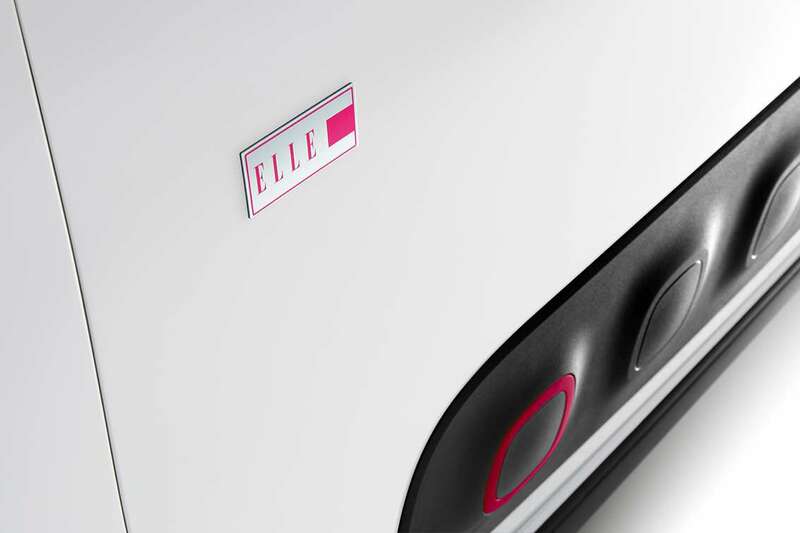 Citroën C3 ELLE is also distinguishable by its unique ELLE badge, highlighting the partnership, an aluminium badge made up of 4 letters that references the famous female magazine, positioned on each front door. A SPECIAL ROOF GRAPHIC FURTHER ENHANCES YOUR VEHICLE. From the exterior, Citroën C3 ELLE is distinguishable thanks to its bi-tone Soft Sand roof colour that’s exclusive to this special edition. Several body colours are also available: Polar White, Perla Nera Black and Platinum Grey. Other possible variants include an Onyx Black roof with a Soft Sand metallic paint. Fog light surrounds and Airbump® highlights feature in ‘Cherry Pink’. A partnership coloured graphic also features on the rear quarter panel and complements the specific roof graphic. On–board, Citroën C3 ELLE benefits from a new interior ambiance that brings together both the interior and exterior colours and materials. The interior, inspired by high-end furnishings and travel, is both stylish and of a high quality, seats are fitted with grey fabric highlighted with Cherry Pink stitching, the dashboard is a grey horizontal band encircled in Cherry Pink to accentuate the feeling of comfort and space on-board. Front carpet mats with Cherry Pink braiding and an ‘ELLE’ label that refers to the partnership, equally add a touch of elegance. Based on Feel versions, Citroën C3 ELLE offers a combination of equipment and useful technology that makes the driver’s life easier and ensures that the driving experience is more reliable, a real symbol of daily comfort. 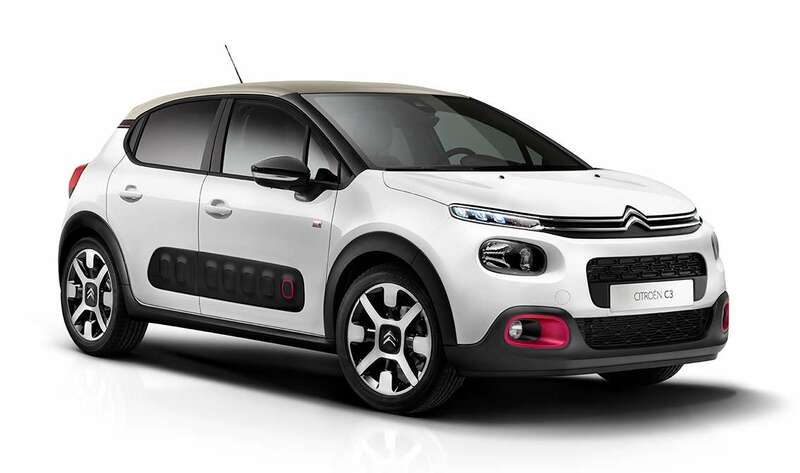 Citroën C3 ELLE benefits from Bluetooth hands-free, USB port, audio system, 7" touch screen and fog lights, as well as 4 electric windows and folding door mirrors. This special edition also comes with Hill Start Assist (depending on version), speed limit recognition and recommendation and Lane Departure Warning System.